If you’re poor, potato chips are the food of life for you. It’s the caviar. Picture this. It’s the holiday week between Christmas and New Year’s, but you’ve got to go in and work all week anyway. You schlub through Wednesday, get your work done, and trudge home. At least there is a treat waiting for you there. It’s a bag of chips, and the exotic flavor (Ghost Pepper) is probably the only zest you’re going to experience during this routine day. You open the bag and pour it out into a bowl. What lands in the dish are a handful of soggy chips and a potato. A whole, damp, unpeeled potato. If anyone else in this unfair, cruel world has ever opened up a bag of chips and found a potato inside, now is the time to come forward so I don’t feel so isolated and alone. I have no idea how the tweet from this stranger toiling across the country ended up in my timeline. A follower of a follower of a follower sent it along, I guess. But that is kind of the point –a bizarre routine occurrence led to a hilarious series of tweets and responses, as well an outpouring of support for the guy stuck with a whole potato in his bag of chips. Then again, I know exactly why the tweet landed in my timeline. It was liked by anyone who has ever felt poor and exhausted after a long day, when the best part of their day was going to be a bag of chips. And then they didn’t even get that. And so a virtual community forms instantly, curious about what happens next. They urge the sad potato chip guy to return the bag to Trader Joe’s (“they are good people there!”). They wait a day to hear what comes next (they responded with the usual Trader Joe’s wonderfulness, and gave him another bag with good humor and no hassles). The story ends, the community dissolves, and almost everyone moves on to the next viral tweet of a dancing cat or a hero rescuing someone from an icy lake. We all crave response, and in reaching out for it, find kindred souls. And that is what reading response in classrooms is all about. We read something that moves us, or disappoints us, or bores us, and what we want most is to gauge our reaction against that of others. We want to see if there are echoes or pushback. Reading is solitary, and yet we rarely want to be fully alone in our experience of it. This week we look at creative takes on reading response, with a healthy dose of technology infused through many of them. Enjoy! After six months of work behind the scenes, the redesigned website is live. We hope you’ll take a tour of new and familiar features. Dana Murphy tries sketchnoting during professional development, and soon finds herself sharing the fun response technique with students. They hone their skills during read alouds and while annotating texts. As more intermediate classrooms become departmentalized, grades 4-6 teachers find they are dealing with 80 or more reading response logs instead of 25-30 each week. Katherine Sokolowski tackles the issue of providing personal response to readers and still having time for everything else. If you are looking for ways to get started with sketchnoting, Andrea Hernandez’s advice includes videos to share with students and tips for overcoming your own anxiety about your artistic abilities. We hope you’ll make our online course program part of your personal improvement plan this winter. Instructors include Ruth Ayres, Katherine Sokolowski, Dana Murphy and many others. Topics in the self-paced classes include student research projects, smarter reading conferences, and better coaching cycles. Members receive discounts of 20-40% on course fees, and nonmembers receive three-month trial memberships to the website. New members-only content is added each week to the Choice Literacy website. If you’re not yet a member, click here to explore membership options. Tara Barnett and Kate Mills are discouraged by the random and idiosyncratic responses to reading they are seeing among first graders. They implement a series of lessons to help students move to evidence-based reading responses. Matt Renwick is surprised when his son completes a reading quiz that isn’t required, and finally realizes it’s all about reading response. In this week’s video, Franki Sibberson shares how she integrates student choice and collaboration into reading response during daily read alouds. In an encore narrative and video, Andie Cunningham explains the bull’s-eye and wave responses her kindergartners complete to demonstrate their understanding of synthesis. Lead Literacy now has a new home as the Leaders Lounge at Choice Literacy. 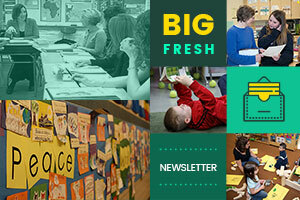 We’ll be posting the new content updates here in the Leaders Lounge section of the Big Fresh newsletter. Stephanie Affinito finds the secret to helping teachers get creative with reading responses is to try them out in their own reading first. Cathy Mere shares four quick tips to help literacy coaches use video thoughtfully in professional development and to hone their own instructional skills. Kathy Provost works with a third-grade teacher to plan a demonstration small group on citing evidence in reading responses. They begin with observations from the previous day’s instruction to determine the group’s needs. This is the first video in a three-part series, with links to all three videos included. Joli Boucher has created a Reading Response Choice Board coaches can share with teachers to expand their thinking about integrating technology with response. Last chance for Dana Murphy’s online course on organizing for coaching cycles that starts tomorrow. You can save 40% with your Literacy Leader membership. The beautiful rests on the foundation of the necessary. Brenda Power is the founder of Choice Literacy. She worked for many years as a professor at the University of Maine and an editor at Stenhouse Publishers. 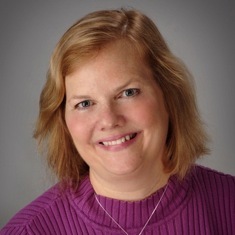 Her publications as an author include Living the Questions and The Art of Classroom Inquiry. She has worked as a book editor and video producer for many of the authors featured at this site. We look at collaboration and teamwork in this week’s Big Fresh. We look at teaching grammar in creative ways in this week’s Big Fresh. We explore literacy cures for the winter doldrums in this week’s Big Fresh.